You might not have season tickets to the ballet, but this October the dancers of Maslool and G.U.I.D. Ballet Preljocaj will be coming to you, bringing the choreography of Angelin Preljocaj, to the streets of Tel Aviv! 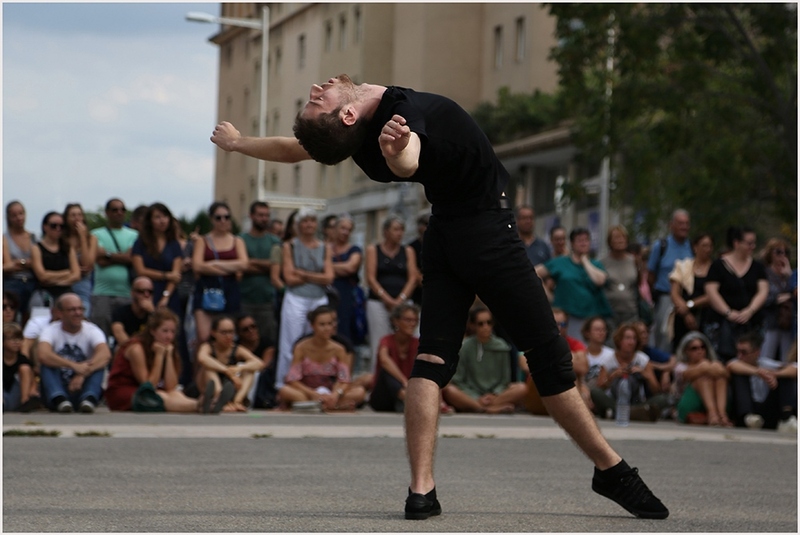 As part of the France-Israel Culture Season, these two leading dance organizations will present several performances in several central locations in Tel Aviv-Jaffa, free to all. Internationally renowned choreographer Angelin Preljocaj founded G.U.I.D. (Groupe Urbain d’Intervention Dansée – Urban Dance Intervention Group) to bring dance to a wider audience, performing in public spaces. Maslool is the professional dance program at Bikurey Ha’Itim Arts Center in Tel Aviv, and the connection between the two groups is deep: Naomi Perlov, who with Offir Dagan is Co-Artistic Director of Maslool, has also been the assistance of Angelin Preljocaj for the past 30 years. Perlov has restaged his works at major dance venues such as The Paris Opera, The New York City Ballet, La Scala, The Royal Danish Ballet, The Royal Swedish Ballet, Berlin Opera, The Netherlands Dans Theater, Marinsky Theater, Ballet de Capitole, Opera of Rome and more. Performing in city squares is nothing like dancing on a stage, it is orders of magnitude more difficult and demanding. Come and be amazed by these dancers! Partners and supporters of the project: ‘Loving Art. Making Art.’ Events, The French Institute, Saison France-Israel 2018, Tel-Aviv-Jaffa Municipality and Bikurey Ha’Itim.